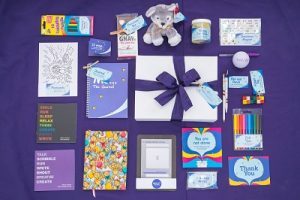 Norfolk based child bereavement charity Nelson’s Journey, have recently launched the Smiles & Tears Gift Box, an idea developed and created by their award winning young volunteers. Nelson’s Journey was established in 1997 and provides therapeutic support to children and young people, living in Norfolk, who have experienced the death of a significant person in their life. Many of the charity’s young volunteers have made us of the support provided by Nelson’s Journey and all felt that around the time their special person died people around them didn’t know what to do or say to provide support. Businesses within the funeral services industry are promoting the Smiles & Tears Gift Box via their businesses and civil celebrants and providing literature to appropriate families affected by a recent bereavement. Find out more.